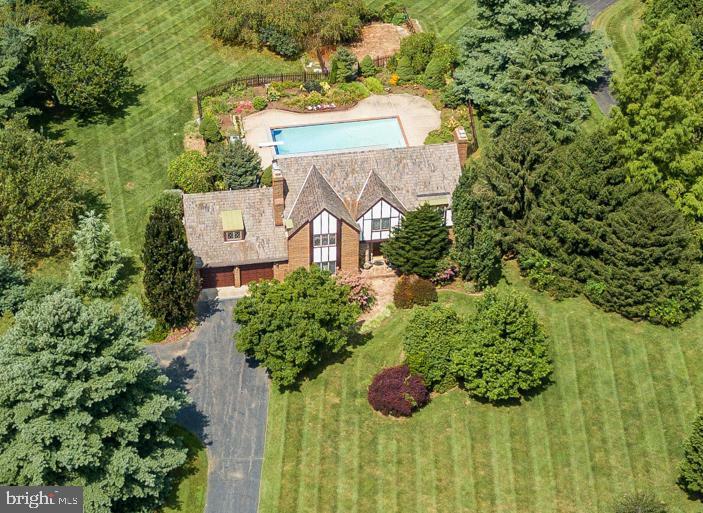 STATELY, CUSTOM-BUILT TUDOR IN PRIVATE, GREAT FALLS LOCATION. CLASSIC DESIGN AND SOLID CONSTRUCTION SELDOM SEEN IN MODERN BUILDING. THIS BEAUTIFUL HOME HAS BEEN METICULOUSLY MAINTAINED BY THE ORIGINAL OWNERS. THE MAIN LEVEL INCLUDES A SPACIOUS GREAT ROOM WITH WOOD BURNING FIREPLACE, A FORMAL DINING ROOM, AN UPDATED KITCHEN WITH BREAKFAST NOOK, A COZY FAMILY ROOM WITH BUILT-IN BOOKCASE, SOLID WALNUT ACCENT PANELING AND WOOD BURNING FIREPLACE; HARDWOOD FLOORS THROUGHOUT. A HOUSE-LENGTH DECK WITH CUSTOM AWNING AND AMAZING POOL VIEWS IS ACCESSIBLE FROM BOTH THE GREAT ROOM AND BREAKFAST NOOK. LEADED GLASS WINDOWS THROUGHOUT ENHANCE THE HOME~S CLASSIC FEEL. THE UPPER LEVEL BOASTS FOUR BEDROOMS, A LARGE BONUS ROOM OVER THE GARAGE AND THREE FULL BATHS ~ BEAUTIFUL, PRISTINE HARDWOOD FLOORS ARE PRESERVED UNDER THE CARPET ON THIS LEVEL. NEW SINKS AND GRANITE VANITY TOPS ON ALL UPPER LEVEL BATHROOMS AS WELL AS IN THE ENTRYWAY HALF BATH. THE WALKOUT BASEMENT INCLUDES NEARLY 900 SQUARE FEET OF FINISHED LIVING SPACE, A WOOD BURNING FIREPLACE, FULL BATHROOM AND A HUGE STORAGE AREA. LOWER LEVEL HAS NEW CARPET, PAINT AND UPDATED LIGHTING ~ 2018. THE HOME HAS DUAL ZONE HEATING AND COOLING FOR MAXIMUM COMFORT AND EFFICIENCY. WATER HEATER REPLACED 2018. 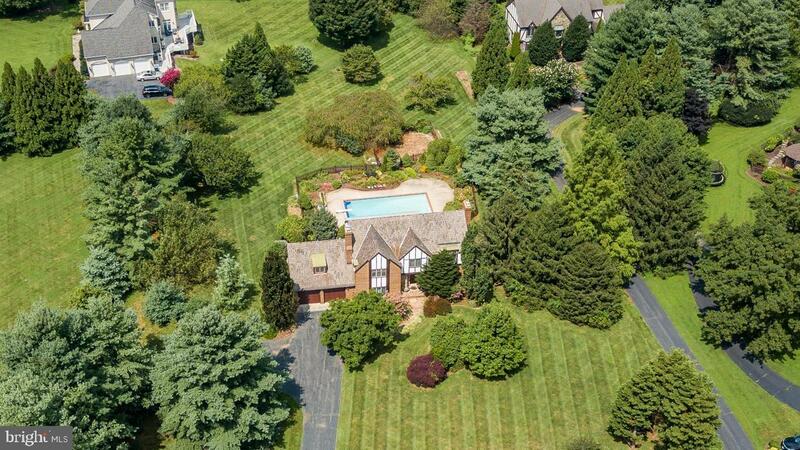 LEVEL, 1.72 ACRE LOT WITH CUSTOM-BUILT, OVERSIZED, INGROUND POOL AND HOT TUB. YARD INCLUDES A FENCED GARDEN SPACE AS WELL AS LOVINGLY CULTIVATED ROSE GARDENS ENCIRCLING THE HOME AND TERRACED AROUND THE POOL DECK. AN ADDITIONAL INVISIBLE FENCE IS PERFECT FOR KEEPING YOUR FURRY FRIENDS SAFELY IN THE YARD. PROPERTY IS LOCATED JUST OVER A MILE FROM SENECA REGIONAL PARK ON THE POTOMAC WITH OVER FIVE MILES OF WALKING/ HIKING TRAILS, FISHING, EQUESTRIAN TRAILS AND GORGEOUS RIVER VIEWS. 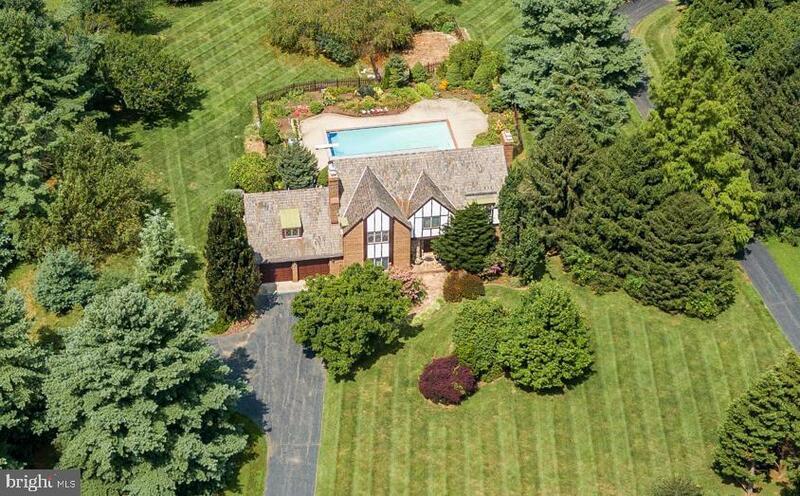 SECLUDED AND SERENE, THIS PROPERTY ALSO HAS QUICK ACCESS TO MANY CONVENIENCES: LOCATED JUST OVER TWO MILES FROM ROUTE 7, FIVE MILES FROM THE RESTON TOWN CENTER AND 12 MILES FROM DULLES INTERNATIONAL AIRPORT. HOME IS LOCATED IN THE LANGLEY HIGH SCHOOL DISTRICT ~ RANKED NUMBER THREE IN THE STATE BY U.S. NEWS. THE BEST OF ALL WORLDS!